How do we know our Microsoft Azure Notification Hub Price Tier ? It is good when we create the Microsoft Azure Notification Hub a free tier is set by default now. It is not like earlier time when I created a testing Scheduler on Azure, the default Scheduler was set to Basic price tier which was not free tier, I got money charged when I just created a test scheduler. However, the new Azure Portal does not give us a way to check our service price tier. The only way current is using Classic Microsoft Azure Portal (Management). Please check detail information from the following content. 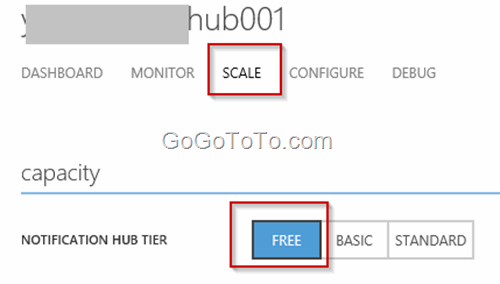 How to Change Microsoft Azure Notification Hub Price Tier ? I have mentioned we have a way to change price tier from Classic Microsoft Azure Portal (Management). 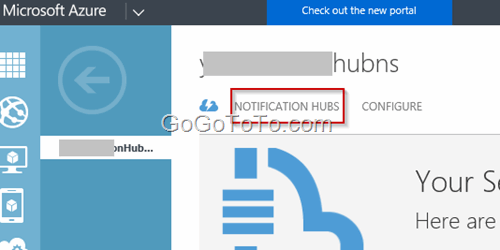 You must select the Notification Hub to go into Notification Hub management page, to see the following screen. Select SCALE option from top menu, from here you can change your Notification Hub price tier. we can see the default price tier has already bee set. It is good the free tier has been set by default when we create Notification Hub, but we just do not have a chance to check whether other services such as the Scheduler are like this. How to change credit card PIN ?